CPO Vehicles offer Tinley Park drivers a fantastic alternative to new and used cars with a slew of added benefits. Our inventory is loaded with late-model vehicles, with low mileage, and in great condition. Whether you’re looking for a Jeep Cherokee or a Dodge Journey, our inventory has just what you need to bolster your drive around Frankfort. Explore the fantastic benefits that buying a CPO vehicle can bring you today! All the right ingredients!!! Less than 22k miles!!! You don't have to worry about depreciation on this ample Vehicle!!!!. There is no better time than now to buy this credible SUV.. Jeep CERTIFIED* One of the best things about this 2017 Jeep Patriot Sport is something you can't see, but you'll be thankful for it every time you pull up to the pump* Blow out pricing!!! Priced below NADA Retail. Optional equipment includes: Transmission: 6-Speed Automatic, Air Conditioning, Engine: 2.4L I4 DOHC 16V Dual VVT...Chrysler Certified Pre-Owned means you not only get the reassurance of a 3Mo/3,000Mile Maximum Care Limited Warranty, but also up to a 7-Year/100,000-Mile Powertrain Limited Warranty, a 125-point inspection/reconditioning, 24hr roadside assistance, rental car benefits, and a complete CARFAX vehicle history report. Gassss saverrrr!!! 29 MPG Hwy* This SUV won't last long at $554 below NADA Retail!!! This toy-hauling Vehicle, with its grippy 4WD, will handle anything mother nature decides to throw at you... Stunning!!! Jeep CERTIFIED... Yes, I am as good as I look* Optional equipment includes: Power & Air Group, Engine: 2.4L I4 ZERO EVAP M-AIR, Sport Appearance Group...Chrysler Certified Pre-Owned means you not only get the reassurance of a 3Mo/3,000Mile Maximum Care Limited Warranty, but also up to a 7-Year/100,000-Mile Powertrain Limited Warranty, a 125-point inspection/reconditioning, 24hr roadside assistance, rental car benefits, and a complete CARFAX vehicle history report. 4 Wheel Drive!!!4X4!!!4WD. Ready for anything!! Take a road, any road. Now add this SUV and watch how that road begins to look like a racetrack!! Jeep CERTIFIED! Priced below NADA Retail!!! Bargain Price!!! Biggest Discounts Anywhere. Optional equipment includes: Engine: 3.2L V6 24V VVT, Tonneau Cover...Chrysler Certified Pre-Owned means you not only get the reassurance of a 3Mo/3,000Mile Maximum Care Limited Warranty, but also up to a 7-Year/100,000-Mile Powertrain Limited Warranty, a 125-point inspection/reconditioning, 24hr roadside assistance, rental car benefits, and a complete CARFAX vehicle history report. Chrysler CERTIFIED. A winning value!!! Need gas? I don't think so. At least not very much! 30 MPG Hwy** Own the road at every turn! Optional equipment includes: Cargo Net...Chrysler Certified Pre-Owned means you not only get the reassurance of a 3Mo/3,000Mile Maximum Care Limited Warranty, but also up to a 7-Year/100,000-Mile Powertrain Limited Warranty, a 125-point inspection/reconditioning, 24hr roadside assistance, rental car benefits, and a complete CARFAX vehicle history report. Gassss saverrrr!!! 30 MPG Hwy* It's ready for anything!!!! Come and get it* Chrysler CERTIFIED! Hey!! Look right here! Safety equipment includes: ABS, Traction control, Curtain airbags, Passenger Airbag, Front fog/driving lights...Other features include: Leather seats, Bluetooth, Power locks, Power windows, Heated seats...Chrysler Certified Pre-Owned means you not only get the reassurance of a 3Mo/3,000Mile Maximum Care Limited Warranty, but also up to a 7-Year/100,000-Mile Powertrain Limited Warranty, a 125-point inspection/reconditioning, 24hr roadside assistance, rental car benefits, and a complete CARFAX vehicle history report. Chrysler CERTIFIED... Priced to Move - $1,879 below NADA Retail!!! This reputable 2017 Chrysler 300C 300C will have you excited to drive to work, even on Mondays! All Around hero!!! Great MPG: 30 MPG Hwy* Safety equipment includes: ABS, Traction control, Curtain airbags, Passenger Airbag, Front fog/driving lights...Other features include: Leather seats, Navigation, Bluetooth, Power locks, Power windows...Chrysler Certified Pre-Owned means you not only get the reassurance of a 3Mo/3,000Mile Maximum Care Limited Warranty, but also up to a 7-Year/100,000-Mile Powertrain Limited Warranty, a 125-point inspection/reconditioning, 24hr roadside assistance, rental car benefits, and a complete CARFAX vehicle history report. Dodge CERTIFIED** NEW LOW PRICE*** SAVE AT THE PUMP!!! 30 MPG Hwy.. Where are you going to stumble upon a nicer 2018 Dodge Charger SXT Plus at this price? Nowhere, because we've already looked to make sure! Look!! Look!! Look! Safety equipment includes: ABS, Traction control, Curtain airbags, Passenger Airbag, Front fog/driving lights...Other features include: Bluetooth, Power locks, Power windows, Heated seats, Auto...Chrysler Certified Pre-Owned means you not only get the reassurance of a 3Mo/3,000Mile Maximum Care Limited Warranty, but also up to a 7-Year/100,000-Mile Powertrain Limited Warranty, a 125-point inspection/reconditioning, 24hr roadside assistance, rental car benefits, and a complete CARFAX vehicle history report. One of the best things about this Trailhawk is something you can't see, but you'll be thankful for it every time you pull up to the pump.. 4 Wheel Drive** Less than 20k miles!!! You don't have to worry about depreciation on this terrific Cherokee!!!!.. Extremely sharp! It does everything so well, except be lazy! Jeep CERTIFIED!!! Incredible price!!! Priced below NADA Retail!!! Optional equipment includes: Engine: 3.2L V6 24V VVT, Wheels: 17' x 7.5' Aluminum (WFK), Trailer Tow Group...Chrysler Certified Pre-Owned means you not only get the reassurance of a 3Mo/3,000Mile Maximum Care Limited Warranty, but also up to a 7-Year/100,000-Mile Powertrain Limited Warranty, a 125-point inspection/reconditioning, 24hr roadside assistance, rental car benefits, and a complete CARFAX vehicle history report. SAVE AT THE PUMP!!! 21 MPG Hwy*** Jeep CERTIFIED!! Priced below NADA Retail!!! Bargain Price!!! Biggest Discounts Anywhere... You win! Very Low Mileage: LESS THAN 35k miles*** As much as it alters the road, this extensive Sport transforms its driver** This do-it-all SUV, with its grippy 4WD, will handle anything mother nature decides to throw at you** Optional equipment includes: Quick Order Package 24S, Transmission: 5-Speed Automatic (W5A580), Air Conditioning, Black 3-Piece Hard Top, Supplemental Front Seat Side Air Bags...Chrysler Certified Pre-Owned means you not only get the reassurance of a 3Mo/3,000Mile Maximum Care Limited Warranty, but also up to a 7-Year/100,000-Mile Powertrain Limited Warranty, a 125-point inspection/reconditioning, 24hr roadside assistance, rental car benefits, and a complete CARFAX vehicle history report. Jeep CERTIFIED!! Priced below NADA Retail!!! Why pay more for less* Very Low Mileage: LESS THAN 29k miles** All smiles!!! Gets Great Gas Mileage: 20 MPG Hwy! Tired of the same dull drive? Well change up things with this rugged Vehicle... 4 Wheel Drive, never get stuck again!!! Optional equipment includes: Transmission: 5-Speed Automatic (W5A580), Black 3-Piece Hard Top...Chrysler Certified Pre-Owned means you not only get the reassurance of a 3Mo/3,000Mile Maximum Care Limited Warranty, but also up to a 7-Year/100,000-Mile Powertrain Limited Warranty, a 125-point inspection/reconditioning, 24hr roadside assistance, rental car benefits, and a complete CARFAX vehicle history report. Zoom Zoom Zoom!!! This outstanding Sedan would look so much better out doing all the stuff you need it to, instead of sitting here unutilized on our lot* Why pay more for less? Price lowered*** Dodge CERTIFIED!! All Wheel Drive, never get stuck again** Safety equipment includes: ABS, Traction control, Curtain airbags, Passenger Airbag, Front fog/driving lights...Other features include: Bluetooth, Power locks, Power windows, Auto, Climate control...Chrysler Certified Pre-Owned means you not only get the reassurance of a 3Mo/3,000Mile Maximum Care Limited Warranty, but also up to a 7-Year/100,000-Mile Powertrain Limited Warranty, a 125-point inspection/reconditioning, 24hr roadside assistance, rental car benefits, and a complete CARFAX vehicle history report. Extremely sharp! Priced to Move - $454 below NADA Retail.. Jeep CERTIFIED.. Very Low Mileage: LESS THAN 5k miles!!! This terrific Jeep is one of the most sought after vehicles on the market because it NEVER lets owners down... One of the best things about this Wrangler is something you can't see, but you'll be thankful for it every time you pull up to the pump!! 4 Wheel Drive!!!4X4!!!4WD!!! Optional equipment includes: Quick Order Package 24S Sport S, Transmission: 8-Speed Automatic (850RE), Black 3-Piece Hard Top, Convenience Group, SiriusXM Satellite Radio...Chrysler Certified Pre-Owned means you not only get the reassurance of a 3Mo/3,000Mile Maximum Care Limited Warranty, but also up to a 7-Year/100,000-Mile Powertrain Limited Warranty, a 125-point inspection/reconditioning, 24hr roadside assistance, rental car benefits, and a complete CARFAX vehicle history report. 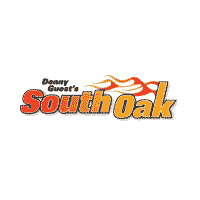 Find Your Next Car at South Oak JDCR! Visit our dealership today near Orland Park to explore our expansive inventory of used and certified pre-owned vehicles. Contact us today and we can help with you with anything from financing to scheduling service.